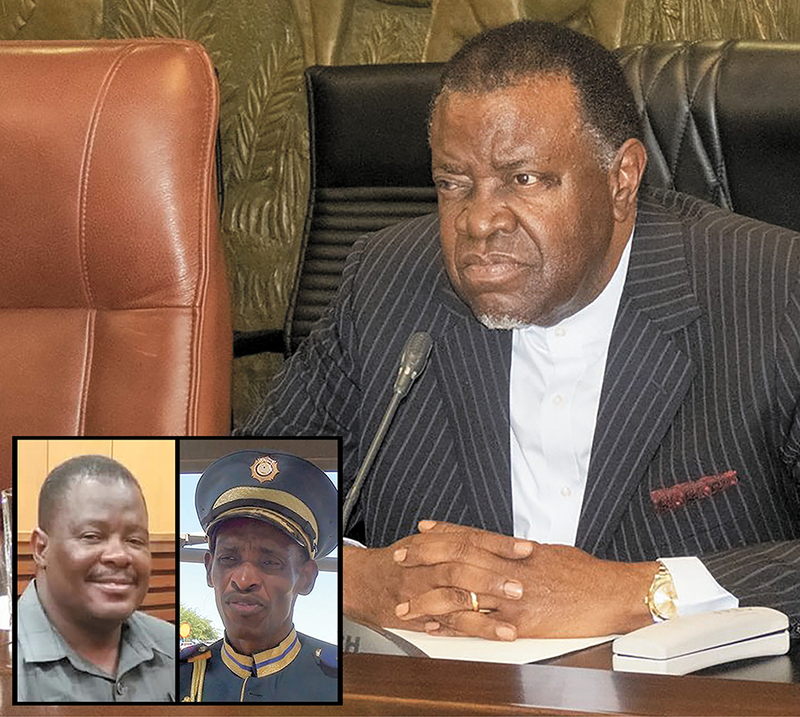 PRESIDENT Hage Geingob yesterday gave a directive to the City of Windhoek councillors and the management to reinstate suspended CEO, Robert Kahimise, and City Police Chief, Abraham Kanime, with immediate effect. Geingob also ordered that the charges against the incumbent Kahimise be dropped. President Geingob’s executive order was prompted by the City Centre Shooting incident on Monday and his concerns with the general safety of Windhoek, as well as the situation of squatter quarters that he described as a humanitarian crisis. Kahimise’s troubles began when he allegedly approved his interest-free study loan late last year without council’s approval in the amount of approximately N$ 150 000. Since then, he has suffered on and off suspensions. “Let the suspension be suspended. We must move on to get to important issues,” Geingob said, referring to the shocking shooting incident in the business district of Windhoek on Monday and a general decline in service delivery to residents of the capital city. “Do your job. So go back… I don’t have time to discuss… these are not discussions. Reinstate Kanime, remove the charges of the CEO. I’m not a lawyer, so go doctor it. That’s it. Opuwo!” Geingob ordered. Speaking to Informanté, Kahimise said he was happy that the President put a stop to the purported witch-hunt against him. “Right now we focus on service delivery and put personal differences aside bearing in mind that we are public office bearers. I do not have an issue with my councillors or with Kanime. His re-instatement is equally welcome and we shall forget the past and move forward. There is no personal attack on him, I just happened to be his senior,” Kahimise noted. On the issue of his study loan, Kahimise said it was now up to Council to craft a way forward. According to him, the loan is repayable and it is not money lost. Should council revoke the loan, Kahimise said he intends to study for his Doctoral degree regardless. Kahimise has been in office since Tuesday after successfully attaining a court order to halt a third attempt to suspend him. Commenting on the municipality’s intended audit for informal settlement dwellers, Kahimise said that the audit was necessary to stop people from owning more than one shack and renting them out. “The Mayor was not wrong by declaring this. It was just taken out of context. The audit will ensure that people with existing houses do not exploit the situation for income purposes. If you look at majority of the shebeens in informal settlements, they are owned by well-off people and not people who live in those areas. Some people are renting out more than one shack. We cannot sit with our hands folded doing nothing about these kind of atrocities,” Kahimise said. On Tuesday, Geingob met with various CoW Councillors, the Khomas governor, Windhoek mayor, the Minister of Lands and various high level cabinet members to address Windhoek city’s urbanisation crisis which he says has culminated in the shrouding of informal settlements. Geingob stressed that it is very cruel and ugly to demolish a shack which is being inhabited by a family, and that the police should rather prevent the setting up of these settlements by increasing surveillance in informal settlements. Geingob stated that the situation in informal settlements has been styled as constituting a national humanitarian crisis, and has not been declared as a “State of Emergency”. “We should address getting rid of these informal settlements. We have a crisis where humans stay in unbearable conditions. 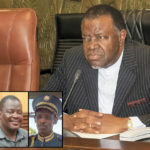 It is a year of accountability and this thing of using legal reasons, while resolutions were passed at the land conference will not work,” Geingob told the Councillors. Regarding his reinstatement, Kanime said he could not comment on the matter, as he still has not received an official notification. He, however, said he would welcome the decision to lift his suspension.